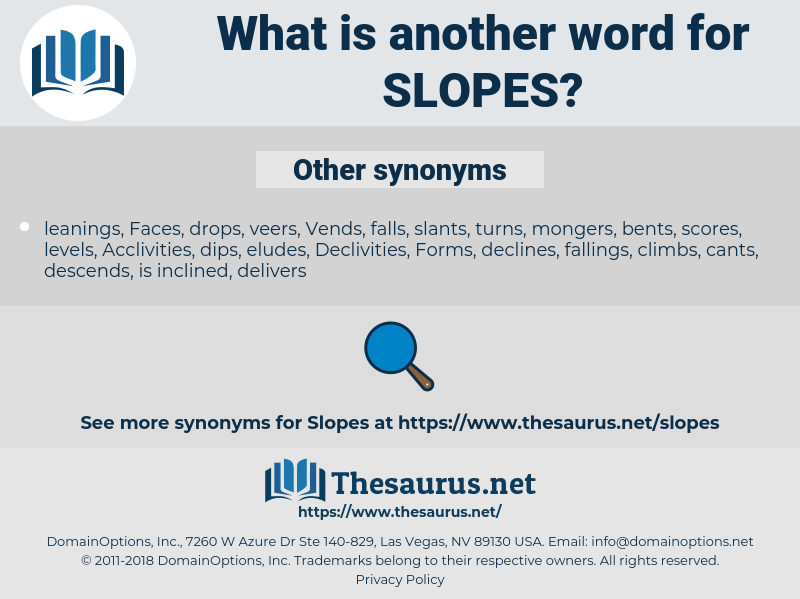 What is another word for SLOPES? embankments, inclinations, courses, methodologies, watersheds, directions, sidewalls, slipways, pistes, collines, distributions, arrears, mountains, Grapes, foothills, rails, contours, bends, outstanding, aspects, airstrips, Angles, Referrals, streams, vineyards, Paths, stripes, flanks, plots, drainages, pending, pointers, curves, BERMS, ways, threads, trails, PATHWAYS, waveforms, routes, patterns, Ramps, Feet, methods, remaining, leads, banks, avenues, strips, LANES, sides, tips, insights, earrings, clues, grapevines, graphs, runways, waves, vines, venues, features, grades, charts, Tracks, blanks, Cues, hints, runs, LINEs. It slopes gradually towards them - so gradually that it may be termed flat, and if a stranger were to walk towards the sea over the fields in a dark night, the first intimation he would receive of his dangerous position would be when his foot descended into the terrible abyss that would receive his shattered frame a hundred feet below. Their infantry are holding strong lines of trenches amongst and along the edges of the numerous woods which crown the slopes. 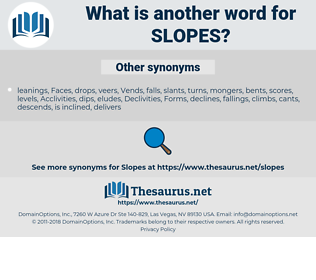 slub, sexual love, salp, shlep, sell up, salve, sea scallop, sleep off, school phobia, salpa, sea wolf, sleep, slap, scalp, slaphappy, selva, solve, slip away, solfa, sulfa, slippy, slip off, sleepy, sulpha, slip up, soil pipe, sick leave, solvay, slav, scollop, saliva, slipway, salvia, slob, scallop, slavey, slap-up, slip by, sloop, shelvy, slave, schlep, seal off, sylph, silva, schoolboy, slop, sleeve, selloff, self, syllabify, skylab, shelve, sylva, slab, swell up, syllabub, scale leaf, scale up, sell off, slip, swallow up, social phobia, salvo, sloppy, shelfy, ski slope, slow up, silvia, sillabub, sclaff, slip-up, shelf.